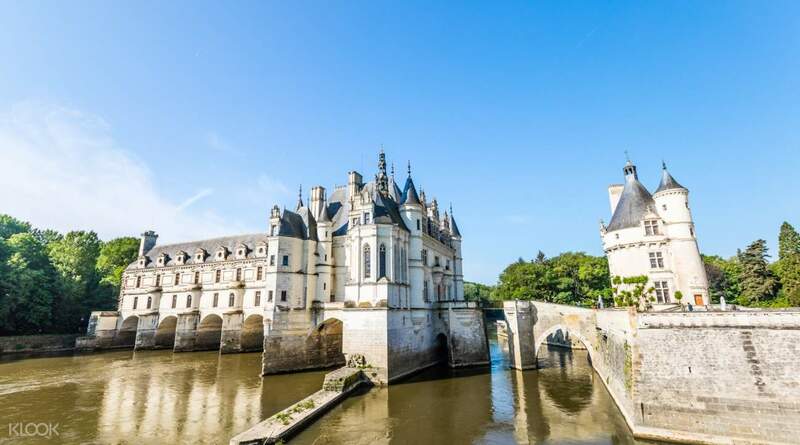 Magnificent castles are part and parcel of a romantic tour through European history, and this audio guided tour of the Loire Valley Castles will allow you to explore three magnificent Renaissance castles. Depart from Paris by comfortable coach and upon arrival at Cheverny, freely visit the currently occupied château de Cheverny for an hour. Within it are extremely well-preserved interior décor with 17th century furniture, and it will feel as though you have gone back in time. You next stop is Château de Chenonceau, which is 45 kilometers away. Known as the “ladies’ castle”, it was primarily occupied by aristocratic French women, including Diane de Poitiers and Catherine de Medicis. 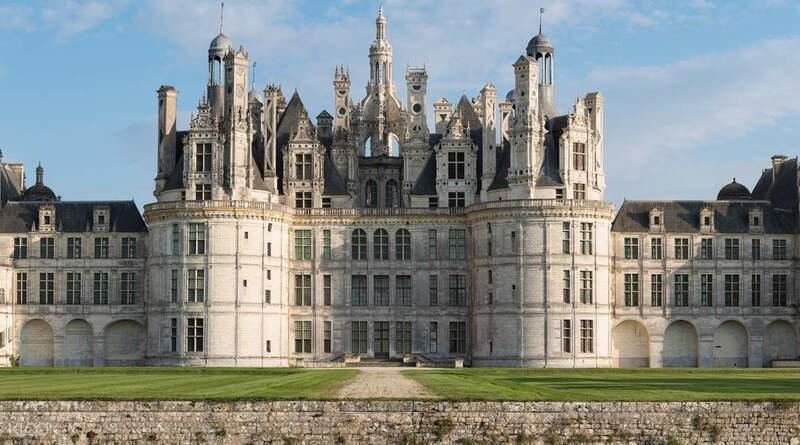 Your final castle is Chateau de Chambord, and your audio tour will introduce you to this massive castle, the largest in Loire Valley, built by Francis I in 1519 and with the aid of the master himself, Leonardo da Vinci. 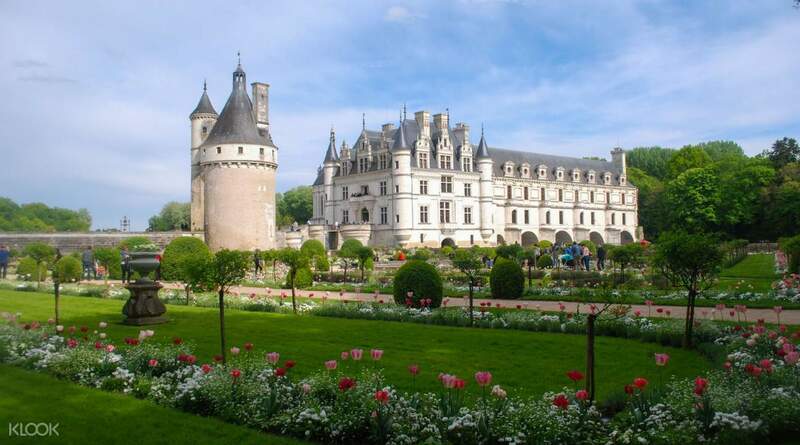 Don’t miss this opportunity not only to learn about French history but also to explore these magnificent fairytale castles. Paris City Vision felt disorganized on the day of our tour. Tour started late because they were missing some devices for the tour. Because of this we spent so little time on the Chambord castle which was so fascinating. The stickers they use for grouping the people don’t stick to clothes very well and they give you dirty looks when you lose them. Also, being able to understand more than one language, I must say that the English-only group missed out on some information the non-English tour guides gave out. And even when you get the non-guided (or audio-guided only) tour, the guides expect you to follow them around because they do not give out full instructions while on the bus. The guides could use a little more chill and organization overall. Paris City Vision felt disorganized on the day of our tour. Tour started late because they were missing some devices for the tour. Because of this we spent so little time on the Chambord castle which was so fascinating. The stickers they use for grouping the people don’t stick to clothes very well and they give you dirty looks when you lose them. Also, being able to understand more than one language, I must say that the English-only group missed out on some information the non-English tour guides gave out. And even when you get the non-guided (or audio-guided only) tour, the guides expect you to follow them around because they do not give out full instructions while on the bus. The guides could use a little more chill and organization overall. The tour was with PariscityVision. This agency is efficient and the tour started on time and we returned to the agency safe. The coach ride was comfortable. The two chateaus were worth the visits. Pleasant! The tour was with PariscityVision. This agency is efficient and the tour started on time and we returned to the agency safe. The coach ride was comfortable. The two chateaus were worth the visits. Pleasant! Comfortable bus and nice tour guide. If you want to take some nice view of the 2 castles, please search online as the guide may not be able to advise! Comfortable bus and nice tour guide. If you want to take some nice view of the 2 castles, please search online as the guide may not be able to advise! The Tour Guide are very nice with a beautiful view such a beautiful trip, very enjoy. The Tour Guide are very nice with a beautiful view such a beautiful trip, very enjoy. Great tour! Well taken care by guide and he is knowledgeable in his tour.. Highly recommend it. Great tour! Well taken care by guide and he is knowledgeable in his tour.. Highly recommend it. Overall, it was a good tour. It will be nice if they could inform us beforehand that the itinerary changed to 2 castles + wine tasting instead of 3 castles. Overall, it was a good tour. It will be nice if they could inform us beforehand that the itinerary changed to 2 castles + wine tasting instead of 3 castles. The castles are beautiful. The tour claimed three castles were included, but finally made it two only. The castles are beautiful. The tour claimed three castles were included, but finally made it two only.